Let us provide you with safe and reliable Reggae Hostel Montego Bay Taxi from Montego Bay Airport while on vacation. Our Reggae Hostel Montego Bay airport shuttle is convenient and economical. Your best option for private taxi transfer service. Advanced reservations and pre-payment for your airport ride is convienient. We take the time and hassle out of getting to and from the airport. Our Reggae Hostel Montego Bay transfers between Montego Bay airport is private and clients will leave as soon as they arrive. 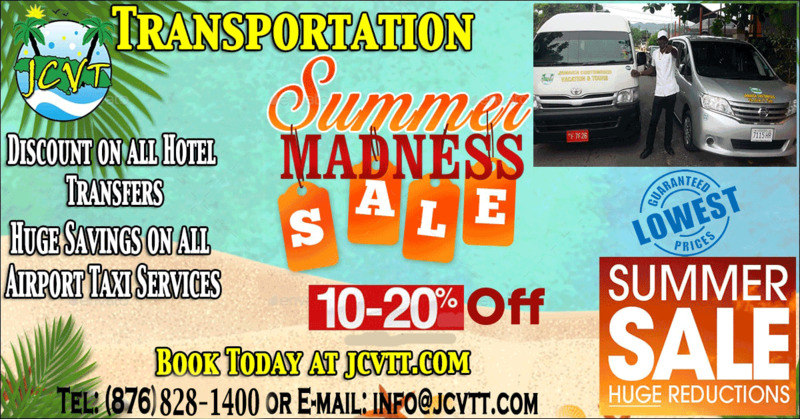 There is no long waiting, no hassle and no unwanted stops, this is the convenient way to book to ensure a great vacation. Reggae Hostel and Hotel Montego Bay is the third in our hostel chain. Conveniently located in the center of Montego Bay this hostel offers spacious rooms with great city and sea views. Easy access to transportation sights, food and nightlife. With a wide combination of shared and private rooms we have a bed for the needs of most budget travellers and backpackers. Our hostel will be complemented by an amazing lounge and communal kitchen on the third floor. The third floor space has a balcony with an amazing view of Montego Bay Harbour and sections of downtown. At Reggae Hostel Montego Bay you are mere minutes away from beaches and across the street from the famous party hot spot, Pier One. We are also within walking distance from the historic Sam Sharpe Square and the "hip strip". The Sangster International Airport is 4km away. Our friendly and knowledgeable staff will make you feel welcome and at home. We will work to ensure that you get all the necessary advice and guidance that you need to make your stay in Jamaica great!. We look forward to hosting you!